Cooler Master has used Computex to launch a new company wide concept and slogan, Make It Yours, which involves a variety of new product lines that have modular, customisable parts and a design ethos known as “the maker spirit” inspired by modding and the roots of Cooler Master as a company. It has released a video, embedded below, that explains this further. 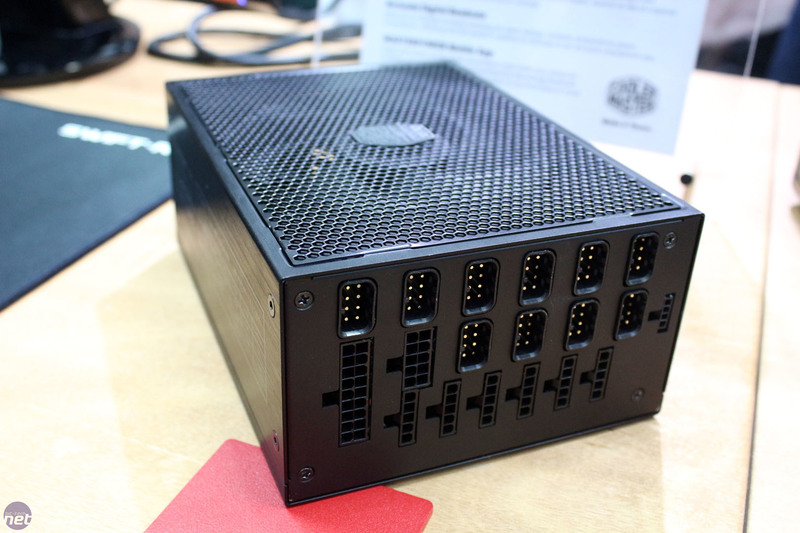 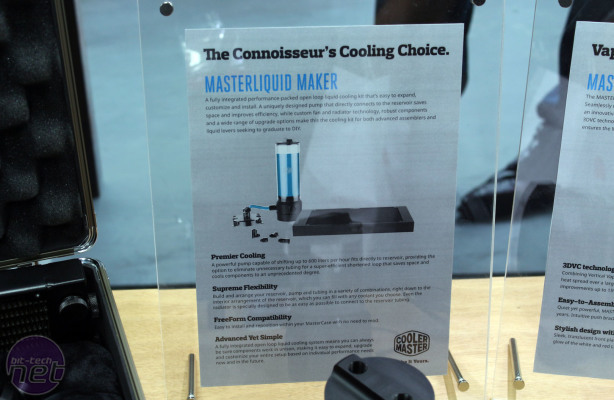 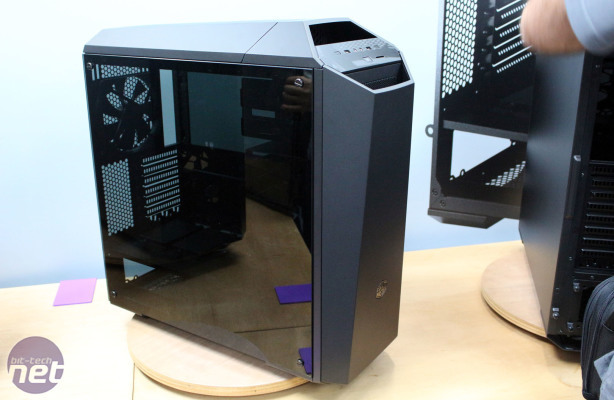 In line with this, Cooler Master showed off its MasterConcept, a concept case designed with the help of world class modders, incuding some who from our very own forums like Peter Brands and Ronnie Hara. 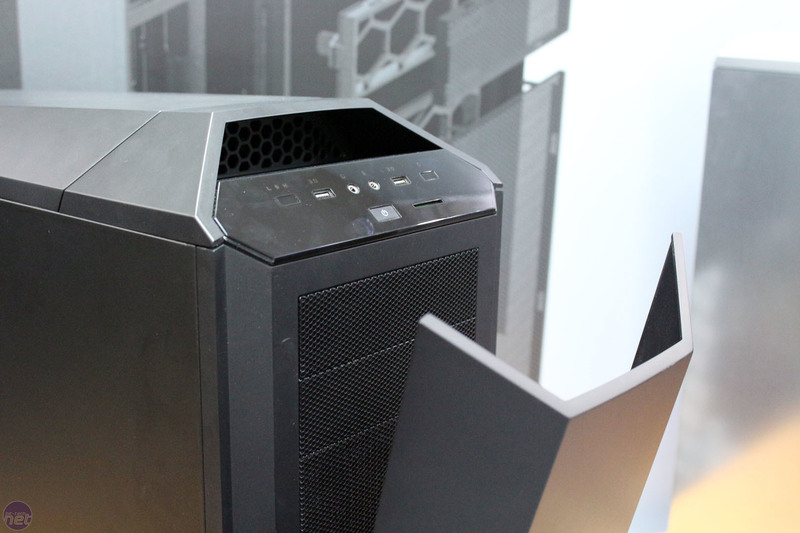 Cooler Master proudly described it as the best case they have ever made and as a blueprint for the company's future – it's clearly something they've drawn a lot of inspiration from. 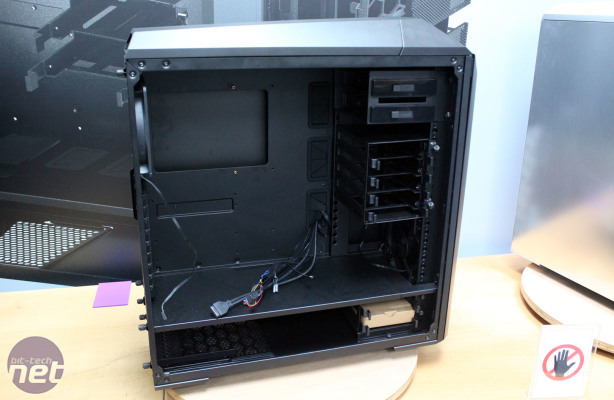 Sadly, they're not talking too much more about it, or even allowing us to show pictures. 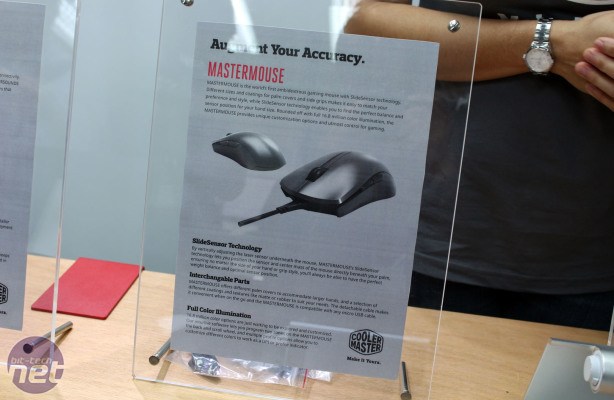 A case we can talk about and show, however, is the MasterCase, which is a direct result of the work done for the MasterConcept. 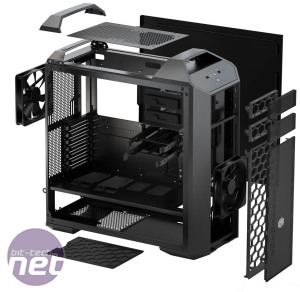 It's described as the world's first mid-sized modular tower with exterior expandability and also launches the company's new FreeForm Modular System. 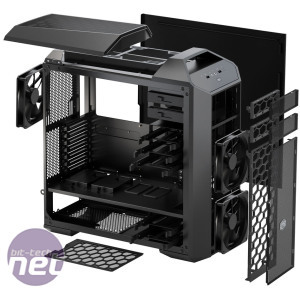 What this means is that parts like the side, front and roof panels, as well as the internal drive cages, are easily removable and upgradable with compatible, modular parts. 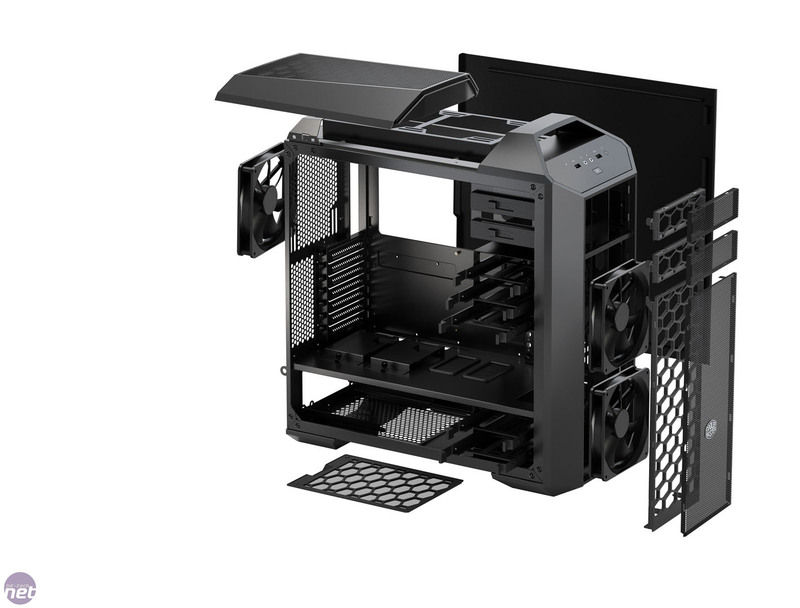 Radiator and reservoir mounts, for example, can also be added. The first MasterCase to launch is the MasterCase 5, a 460mm tall case with 360mm radiator support and a dual chamber design. It will be available as the most basic version and also in two more advanced ones, the MasterCase Pro 5 and MasterCase Maker 5. 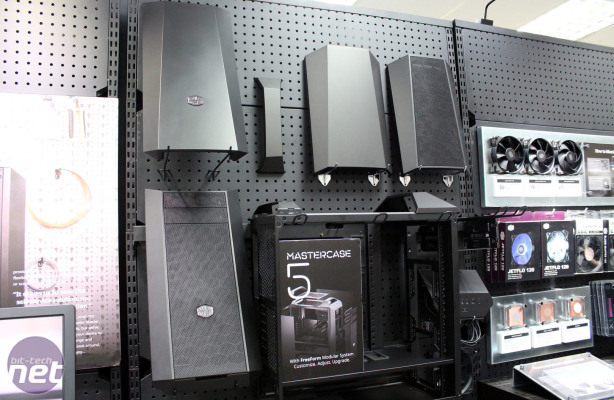 However, the core, modular structure of each case is the same, and through a series of upgrades you can make the MasterCase 5 into one of the others, or as something in between or totally different – as Cooler Master would say, you can make it yours. 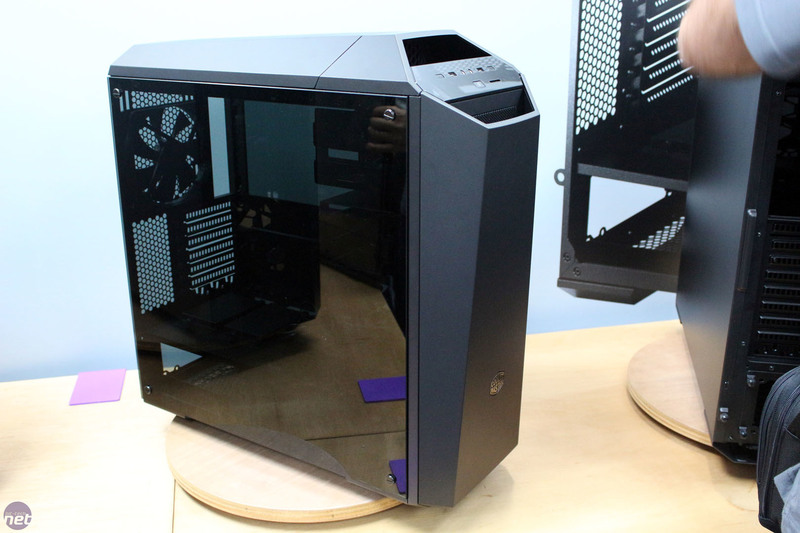 Availability is scheduled for 2015; pricing for the cases or modular parts was not disclosed. 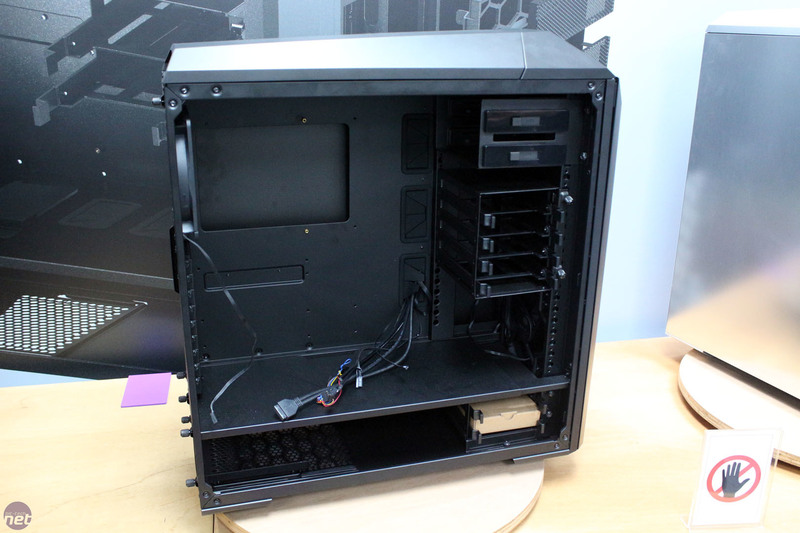 Larger cases, the MasterCase 7 and MasterCase 9, are also planned, with Pro and Maker versions again available as well as the basic ones and the some upgradeable concept. 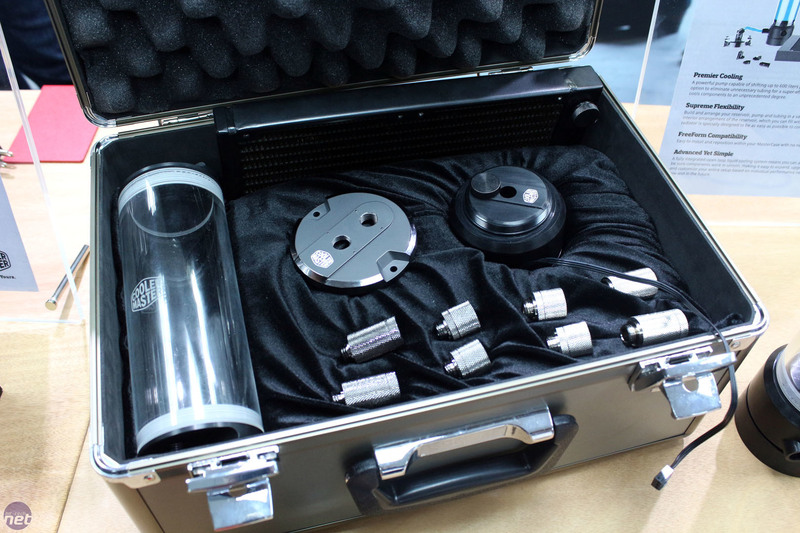 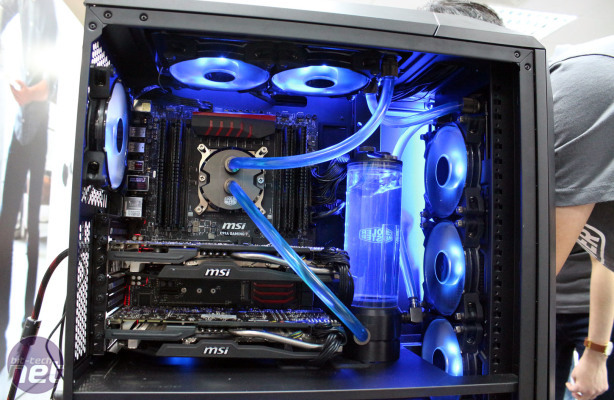 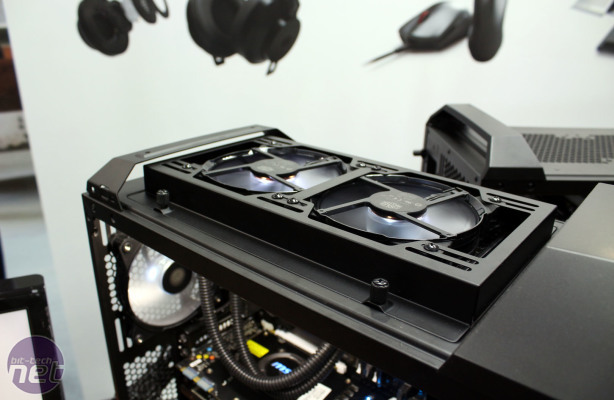 Also shown off was a full set of custom water-cooling parts, which Cooler Master is manufacturing itself, including a 600 litres per hour pump, and which is said to be easy to install and reposition within the MasterCase series with no need to mod anything. 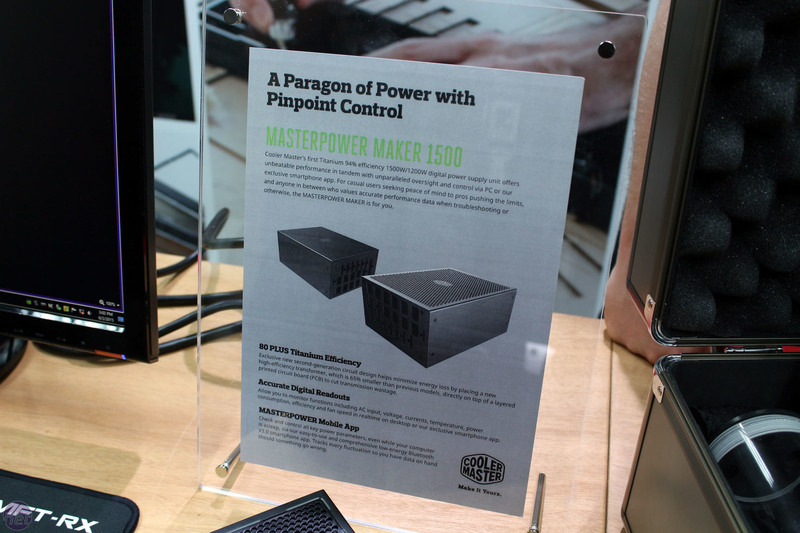 We also saw an upcoming set of digital power supplies (1,200W and 1,500W), the MasterPower Maker, which is 80 Plus Titanium rated, fully modular and controllable in part using a smartphone app. 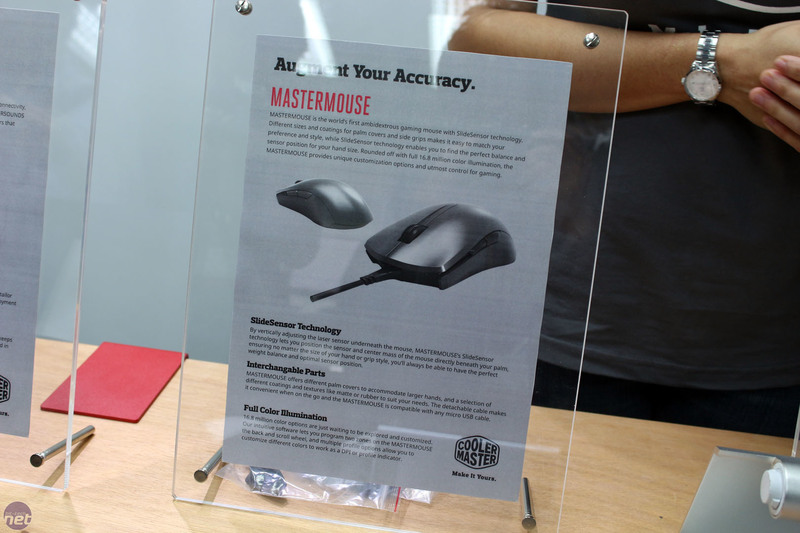 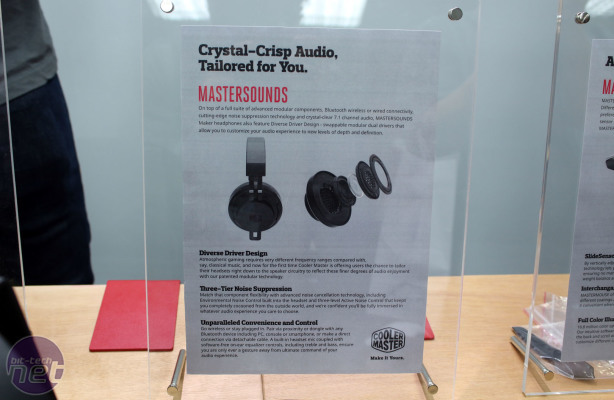 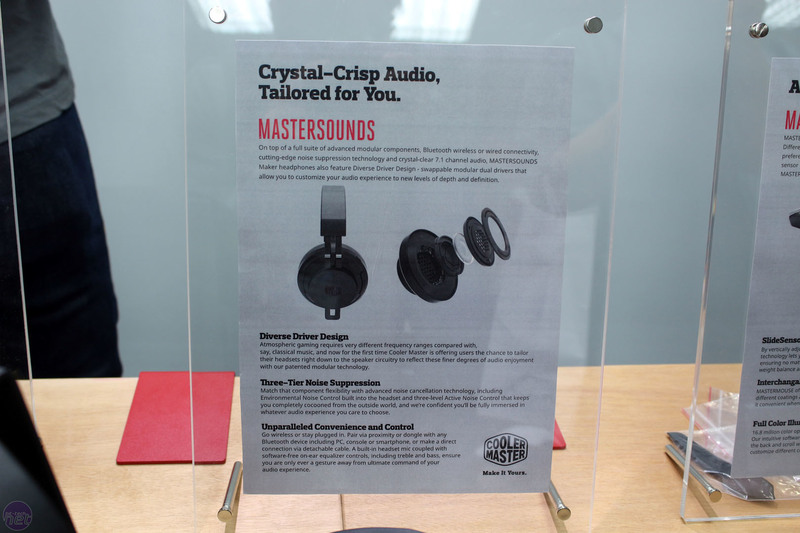 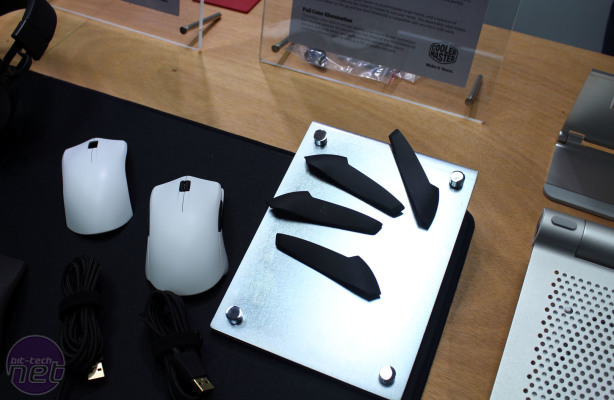 Finally, Cooler Master had some modular peripherals; the MasterMouse and the MasterSounds gaming headset. 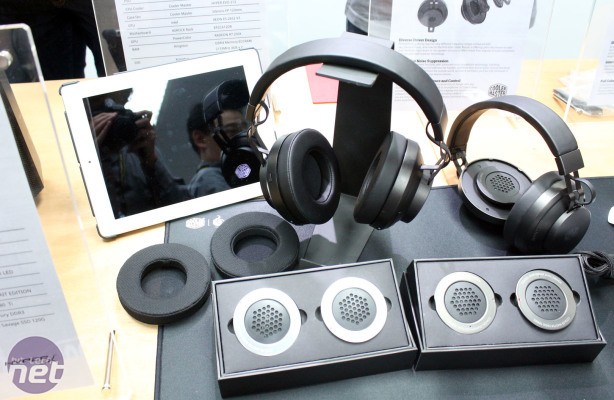 The former allows you to swap out the sides and coatings and change the sensor position, while the latter has replaceable drivers and earcups as well as active noise cancellation. These two headsets from G.Skill both offer 7.1 surround; one virtual and one true.